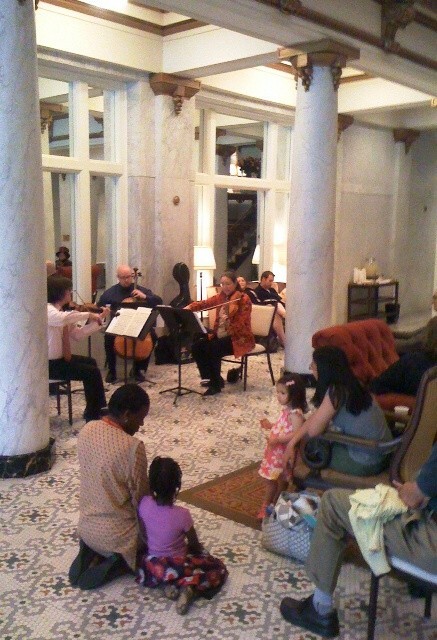 The concert will feature the Quapaw Quartet. Members of the quartet will introduce the pieces to be performed: “A Little Night Music” featuring music from Mozart, Bernstein, and Debussy. The members of the Quapaw Quartet are: Meredith Maddox Hicks, violin; Eric Hayward, violin; Ryan Mooney, viola; Ethan Young, cello. The Arkansas Symphony Orchestra, Philip Mann, Music Director and Conductor, presents the next concert of its 2014-2015 Landers FIAT River Rhapsodies Chamber Music Series: Italian Serenade. ASO’s Quapaw and Rockefeller Quartets present music from Beethoven, Wolf, and ASO Composer in Residence John Corigliano in the beautiful Grand Hall of the Clinton Presidential Center, November 11th, 2014 at 7:00 PM, 1200 President Clinton Ave., Little Rock, AR. A cash bar is open at 6 PM and at intermission, and patrons are invited to carry drinks into the hall. 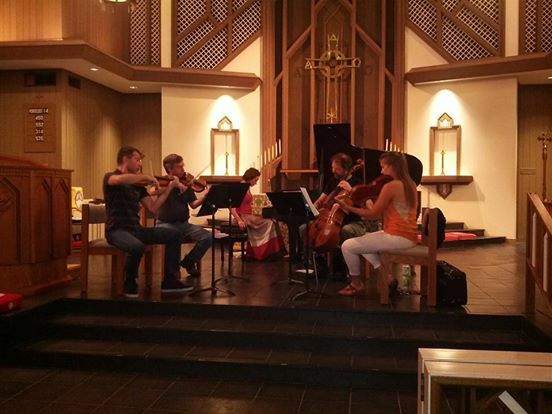 Media sponsor for the Landers FIAT River Rhapsodies Chamber Music Series is KUAR/KLRE. 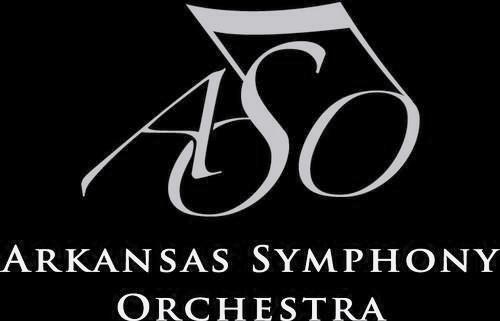 Tickets are $23; active duty military and student tickets are $10 are can be purchased online atwww.ArkansasSymphony.org; at the Clinton Presidential Center box office beginning 60 minutes prior to a concert; or by phone at 501-666-1761, ext. 100. The Arkansas Symphony Orchestra River Rhapsodies concert series concludes the 2012-2013 season tonight. With spring weather upon us, it is appropriate that tonight’s program is entitled Appalachian Spring. The evening will include Crumb’s Voice of the Whale, Debussy’s Sonate en trio for Flute, Viola and Harp; ASO composer of the year Higdon’s Amazing Grace and Copland’s Appalachian Spring. Performing these selections will be Carl Anthony, piano; Carolyn Brown, flute; Daniel Cline, cello; Alisa Coffey, harp; Leanne Day-Simpson, violin; David Gerstein, cello; Eric Hayward, violin; Andrew Irvin, violin; Kelly Johnson, clarinet; Kiril Laskarov, violin; Susan Bell León, bassoon; Ryan Mooney, viola; Katherine Reynolds, viola and Barron Weir, contrabass. 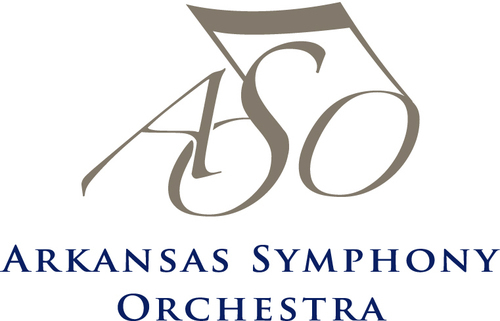 The concert takes place at 7pm at the Clinton Presidential Center. A limited number of tickets are available at the door. But the concerts usually sell out.